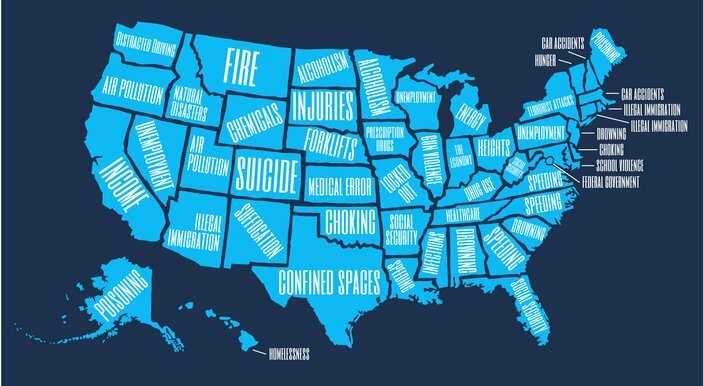 Google Trends anaylsis reveals every state's biggest worry. Unemployment in Pennsylvania reached an alarming peak of 8.7 percent in February 2010, less than two years after the 2008 financial crisis that served as a benchmark for labor statistics over the past decade of recovery. The economy in Pennsylvania has improved dramatically since that time. Led by industrial growth in natural gas, paints and chemicals, food products, machinery, publishing and fabricated metals, the state's unemployment rate stood at 4.6 percent as of November 2017. That figure puts Pennsylvania's unemployment rate at 35th in the United States — not great, but a relative figure considering the state's fifth-largest population in the country. Despite the economic improvement, a survey of Google search terms from the past few years shows Pennsylvania residents still are preoccupied most by unemployment. The trends analysis was conducted by the data team at Your Local Security, the home security monitoring company behind the ADT signs commonly seen outside homes. 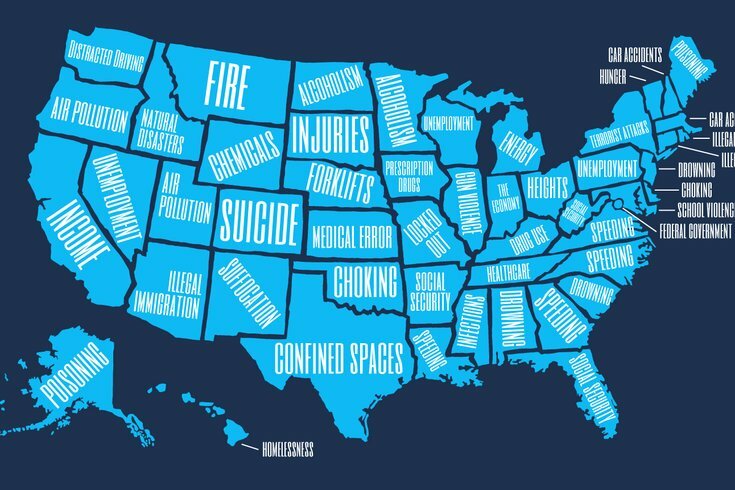 YLS compiled the statistics and turned them into a map that offers an interesting look at what's making Americans anxious. Pennsylvania shares the same primary concern as Nevada and Michigan, but some of the other worries in the map are a bit unusual. Why is Ohio afraid of heights? Why do Texans fear confined spaces? What's up with Maine's terror of poisoning? New Jersey's fear of drowning makes sense after a year in which nearly 30 people died in the water. Experts said the public's lack of swimming skills was a bigger reason for the spike in fatalities than rip currents, which were not abnormally frequent or severe along the coast in 2017. If Pennsylvania's concerns about employment are as serious as the Google data suggests, the results under Gov. Tom Wolf could bode well for his chance at a second term in November's gubernatorial election.